If you could create a super-awesome MAC collection which brought together polka dots, bright colours, a bit of attitude and harmony that'd be cool with me. I can do my own makeup, like, pretty okay, but I'm really looking for a fun colour that's easy to wear and lasts all day long at school. And, it can't come off. I don't really have time to hit the bathroom for touch-ups every hour - teachers don't hand out hall passes like candy. I mean, come on! So, get on it and keep me posted. Earlier this month MAC released a limited edition collection ranging between brights and pastels - punk rock goddess, Beth Ditto just so happened to be their muse. Plus, it helps she loves to pack a punch with her makeup and her curves. Fearless and confident - those are two things you need to be or hope to achieve when applying a bit of Dear Diary and Embrace Me. These bright watermelon pink hues were released with companionship in mind, but you can certainly take each colour on a solo journey too. 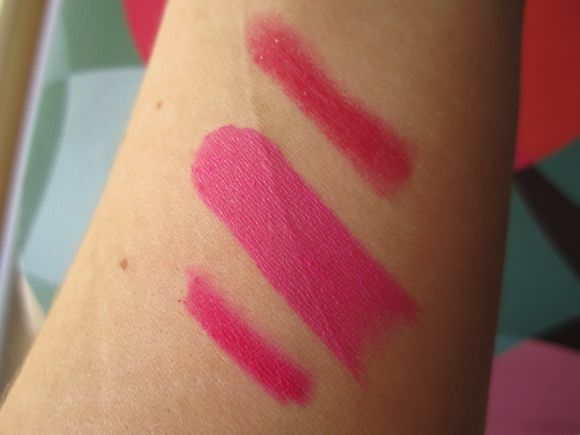 When I first swatched these two colours, I got twinges of joy because they both reminded me of NARS' Mexican Rose. Mexican Rose is deceptively pink and lasts all day. Looking to make a statement? 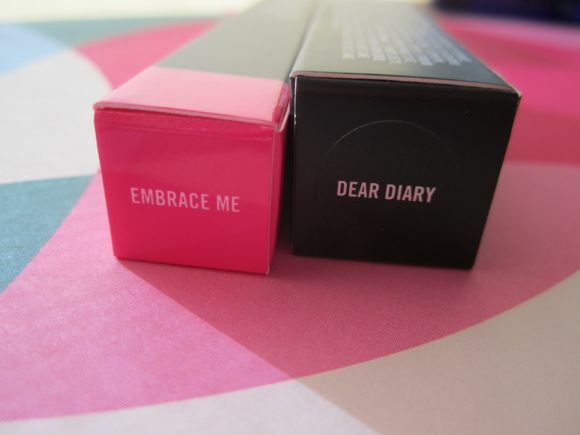 Then hop to it and add Embrace Me to your makeup bag; Dear Diary is sold out online and in stores (sorry ladies). Mexican Rose certainly isn't a dupe for either of these colours - it leans more red, whereas the other two have blueish undertones. Embrace Me and Dear Diary both dry matte and require minimal maintenance; first, reach for your favourite lip balm, add a dash of Embrace Me, Dear Diary or both. A few weeks ago I took both colours out for a spin, all told this duo hung around for eight hours. Hi MAC, what else do you have in store for us this year?